We're three episodes deep into Season 4 of Catfish, and while I miss Max and Nev's witty banter, I don't completely hate the guest hosts Nev has secured while Max films his big Hollywood movie. On Wednesday, Catfish host Nev will be joined by Angel Haze, as they track down a woman who might or might not be Catfishing an 18-year-old boy in Illinois. So what's the deal with Angel Haze? Chances are you've definitely heard of this musician-on-the-rise who is also a huge Catfish fan. Angel Haze is a rapper and singer who has been on the music scene since 2011. 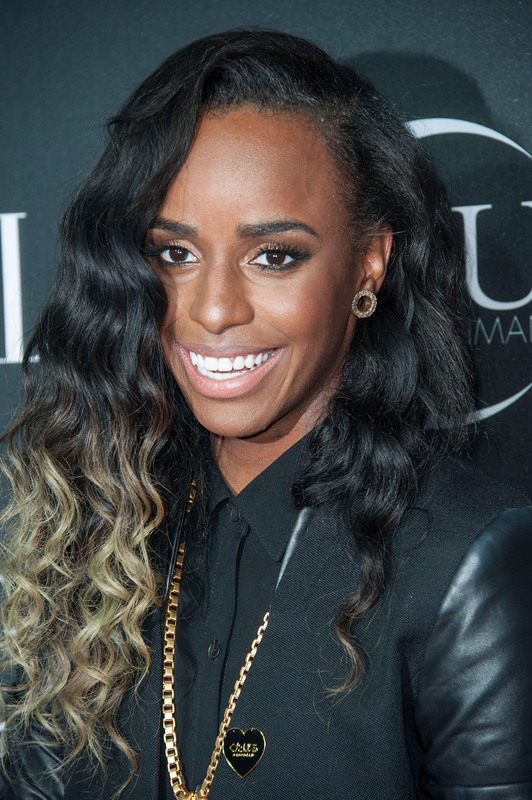 In December 2013, Angel Haze released her debut album Dirty Gold. And this past February, she released a single from her second studio album The Flowers are Blooming Now. The song, "Candlxs," was written about her relationship with Ireland Baldwin. Angel Haze has also teamed up with a lot of great artists in the past, proving that she is going to work just splendidly with Nev. She has been featured on "Numb," a song from Nick Jonas' self-titled album. She has also collaborated with Bassnectar, Skylar Grey, Ellie Goulding, and Bastille. Basically, she has this whole music thing figured out. You might also be familiar with Angel because of her adorable relationship with Baldwin. The two began dating in 2014, but about a day after the release of "Candlxs," Haze reportedly posted a lot of break-up tweets that suggested the two had split. Well, fear not, because as of March 8, the two went mini-golfing and celebrated International Women's Day (again, cutest couple), so they seem to still be going strong. From the looks of it, Angel is going to be a kickass co-host on this episode. In the promo clip on MTV's website, found below, she expresses hope that the boy possibly being Catfished gets his happily ever after, which is a sweet take on the often dark and predictably disappointing end results of Catfish. Haze also looks like she's got that BS detector on high, because she isn't going to be played by someone who might not even be real. I feel you, girl.